Nobby Kunert joined ForestGEO as a Postdoctoral Fellow at SCBI in February 2018. Nobby’s project will focus on plant-water relations and tropical forest function measuring leaf hydraulic and functional traits in species-rich tropical forests. 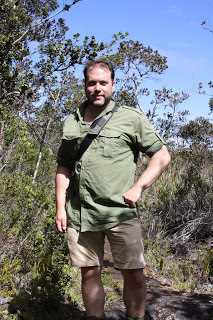 Specifically, he will be conducting fieldwork in the forest dynamics sites at Barro Colorado Island in Panama and at the Lambir and Pasoh sites in Malaysia. The aim is to identify key hydraulic, physiological, anatomical, and functional traits and to parameterize these traits for the use of tree growth models in response to climate change.